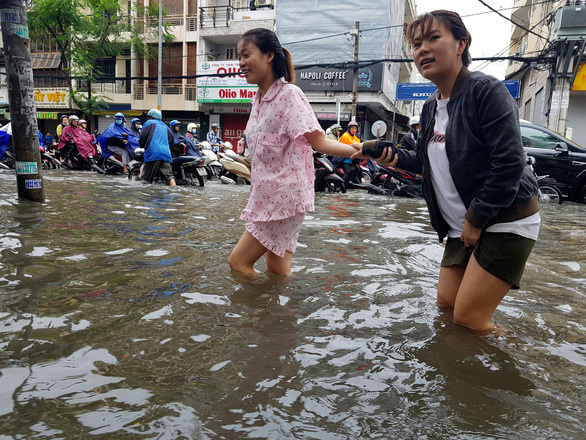 Ho Chi Minh City was turned into a giant swamp on Sunday as torrential rains that lasted the whole day flooded streets and houses, immobilizing traffic and giving residents a sleepless night as they battled with the water for survival. 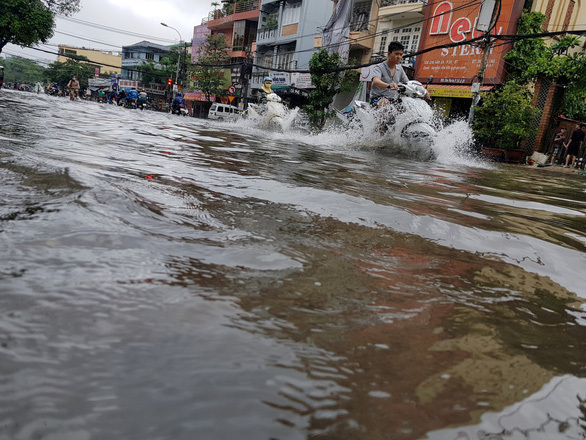 Waist-deep floodwater was reported on multiple key roads in the southern metropolis after over 24 hours of nonstop rain that began on Saturday evening and last well into Monday morning. 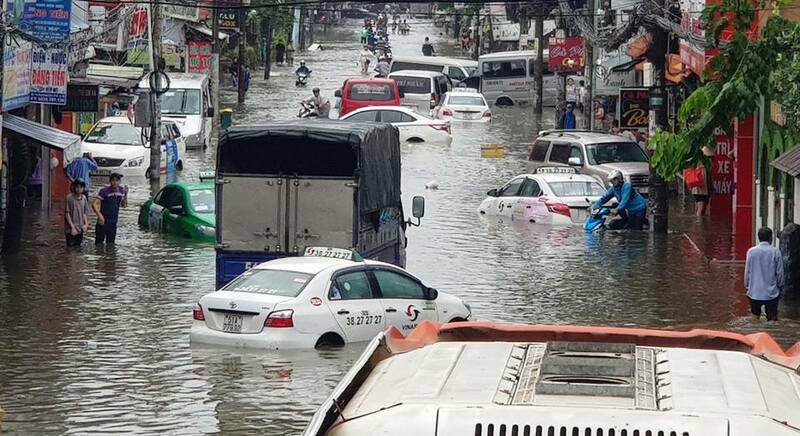 Rainfall was at a record level of 234 millimeters as of 8:30 pm on Sunday, as experts forecast that total rainfall can top 300mm with wet weather entering day two in the city. 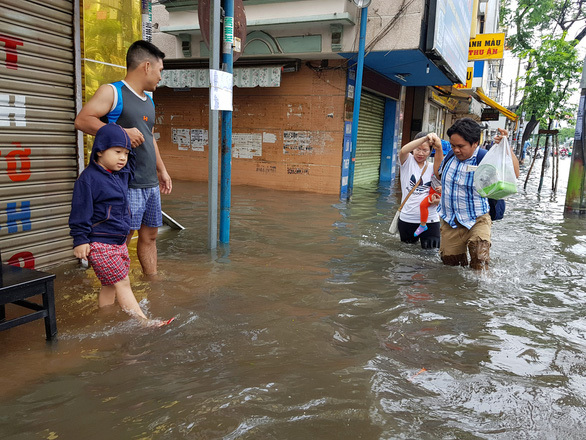 The flooding situation is even worse in the city’s network of hundreds of small alleys, where residents spent the whole Sunday evening and early Monday morning trying to prevent flood water from entering their homes. 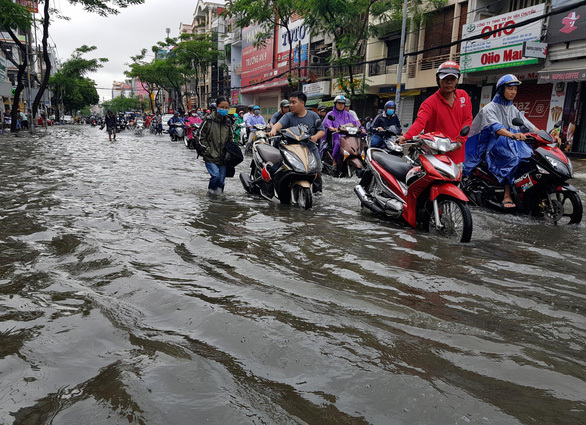 On various key roads in all districts of Ho Chi Minh City, cars and motorcycles could be seen grappling with the water at 3:00 am on Monday. 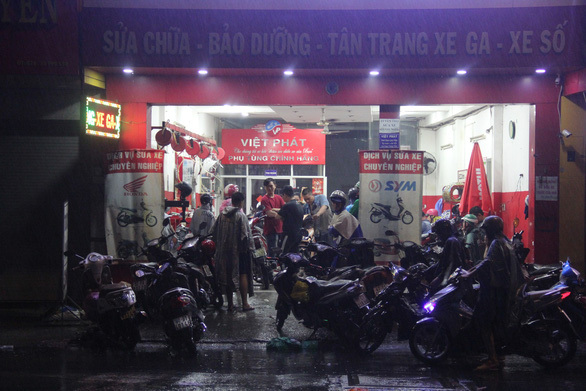 Some car drivers gave up trying and abandoned their vehicles in the middle of the road to walk home instead. 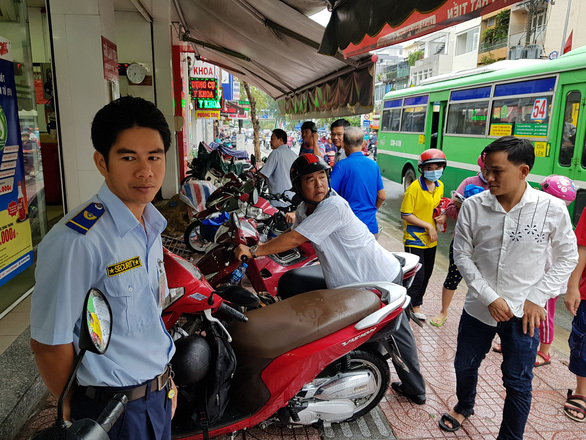 Motorbike repair shops stayed open all night on Sunday to provide service to flood-damaged vehicles, as their owners rested under the porch of nearby houses. 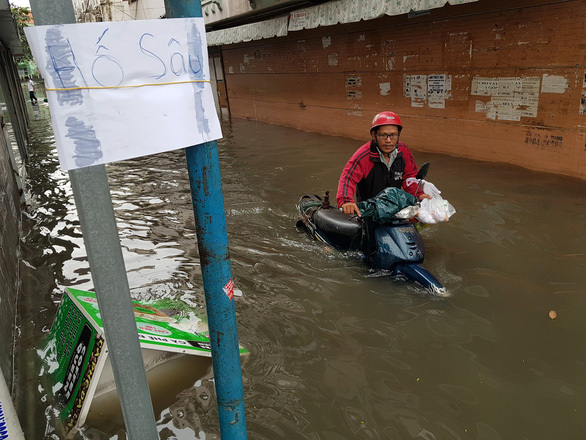 People who went to work on Sunday became trapped at the workplace and had to spend the night at the office instead of braving the rain and flood water to try and get home. 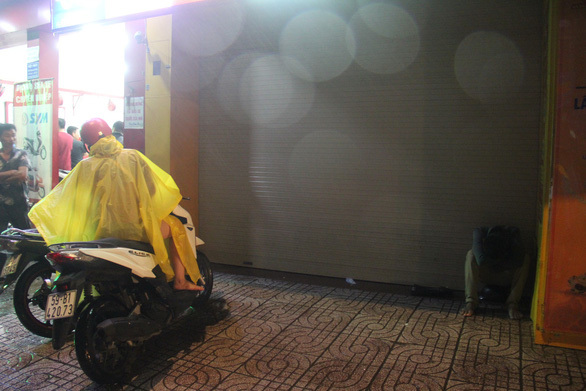 Those who were already outside in the rain opted to drop by at a friend’s or relative’s house for the night after seeing they could not get any further in the flood. 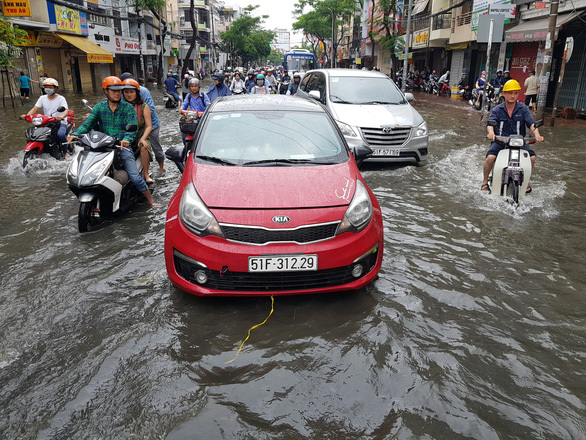 On Monday morning, a drove of cars could still be seen abandoned on flooded streets in Ho Chi Minh City, as some traffic lights malfunctioned after being submerged underwater for too long. 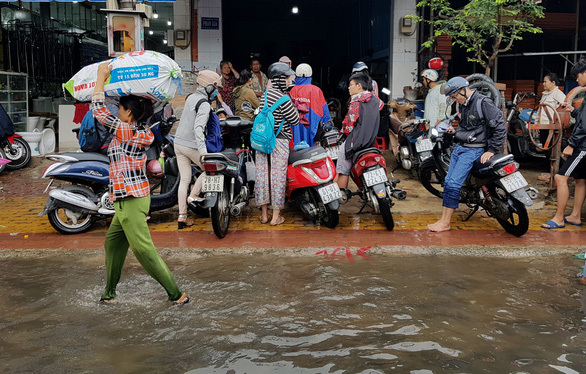 Although all students in the city have been given a full day off on Monday, roads were still congested during the morning rush hours as floodwater showed no sign of retreating. 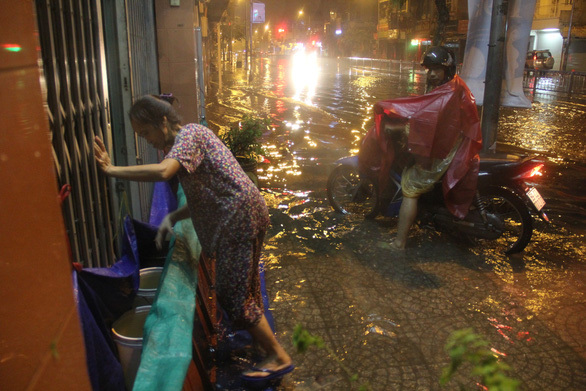 Many office workers were barred from leaving for work on Monday as their residence was still surrounded by water.